Last December I published a post titled “Golf Poetry for a Winter’s Day.” It included a poem called “Retrospection.” If you want a succinct description of the essence of golf, I encourage you to click here and read (better recite) the last two stanzas. 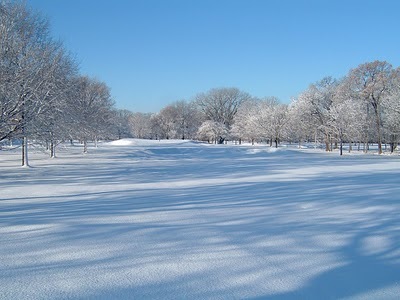 This December’s poem for a winter’s day is called “A Dirge for Summer.” It was written by Robert Risk, a Scottish poet and golfer, and appeared in his book, Songs of the Links, published in 1919. Whereby we are allowed to call it back. (I’ve half a mind to go there for a week). The season of his deepest discontent. The constellation of Next Year’s Spring Meeting. When I read this poem it makes me think that over the last 100 years the game has changed much more than its players. « Read Golf Poetry Out Loud!